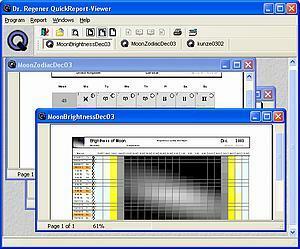 Quite a number of programs use the QuickReport format to export lists, reports and graphics. These reports may be saved as files (*.qrp). But to view the report one need the original program.